At the heart of Hancock County is one thing: the community. The people who make up the community are unique and diverse in interests, backgrounds, and stories. Over the next few months we will be highlighting members of the community that you may see behind a shop counter, at an event, or in the grocery store and their stores. This month we will be featuring Shenna Gonzalez, owner of Downtown Findlay’s newest shop, The Shimmery Belle Boutique. Shenna Gonzalez may own Downtown Findlay’s newest boutique, but she is not new to knowing the in’s and out’s of owning her own business. Although The Shimmery Belle Boutique is her first storefront, Shenna has been refurbishing and selling furniture out of her home for years. Shenna is a Hancock County native, she grew up in Arlington and attended the University of Findlay, after which she decided to make Findlay her home along with her husband, David. Although Shenna has a full time job, plus refurbishing and selling furniture out of her home, she wanted to do something more – and The Shimmery Belle Boutique was born. Shenna Gonzalez is the owner of Downtown Findlay’s newest shop, The Shimmery Belle Boutique! One of Shenna’s favorite things to do when in a big city is to peruse through all the boutiques and observe how they are set up, the types of items they carry, and the atmosphere they are presenting, so when she and her family decided to open Shimmery Belle Boutique it was those boutiques that Shenna drew inspiration from. The goal of opening her own store was to have a big city boutique with a small town feel – something that anyone who walks in the doors at 620 South Main Street can attest to. Shimmery Belle has a unique and eclectic selection, there really is something for everyone. With options that are both trendy and classic, the pieces you purchase at Shimmery Belle Boutique quickly become wardrobe staples. And with only six of each item in stock there is a certain level of exclusivity (and also the need to buy what you want so it isn’t gone the next time you visit!). Shimmery Belle will quickly become your go-to stop when looking for the perfect dress, a cute top, or the need to freshen up your wardrobe, and with the selections offered you will be able to do so with no problems. Shimmery Belle offers a wide variety of options, something for a woman of any age or style. And the options aren’t just limited to tops and dresses, Shenna has a great line of jeans, jeggings, leggings, accessories, and even shoes; meaning you can walk in the shop with an occasion in mind and walk out the door with an entire outfit – complete head to toes. And the fashion choices aren’t just limited to women either, there are options for children as well! Adorable Mommy and Me coordinating dresses and tops, soft T-shirts with cute sayings on them, shoes, accessories, and more await for boys and girls in all sizes. Not only does Shimmery Belle , but you feel great when you shop and try on different styles as well. Shenna and her great staff will help you find exactly what you want. And don’t be afraid to bring a crowd to help you pick out something special! The changing rooms are large and have plenty of seating room, making it an obvious stop on a Girl’s Day Out shopping trip! Expect to be treated like family while you are shopping, Shenna’s favorite part is meeting people in the community and making their shopping experience as personal as possible. And the family aspect isn’t just for customers, it is what The Shimmery Belle Boutique is built upon. Shenna is quick to point out that although her husband refers to Shimmery Belle as her store, she did not do it alone. Her husband contributes more at home, allowing her to devote her time to the store, her six year old daughter, Kamryn, helps her organize clothes (and she had a hand picking out the name! ), her nine year old son, Alex, is behind the camera during Facebook Live videos, and her stepson, Anthony, does a lot of the heavy lifting around the store and helps her unpack merchandise. Although opening a store Downtown is Shenna’s passion, it is her entire family’s project together. Shenna may be a new retailer downtown, but she is a longtime admirer! She has long loved Downtown Findlay and the atmosphere the revitalization has brought, and she is looking forward to that growth continuing, especially the opening of The Hancock Hotel, which will be located right across the street!  An ideal day in Findlay would be spent on Main Street, eating and shopping, or at one of the Hancock County parks. One of their favorite parks is the K-9 Field of Dreams Dog Park at Riverbend, and they also enjoy walking the trails at Litzenberg Memorial Woods or Oakwoods Nature Preserve. Shenna and her family love Rossilli’s but she says you can’t go wrong at any of the local restaurants, saying she loves Bistro on Main, Logan’s Irish Pub, or Stix for a perfect date night. Shenna is looking forward to and planning on involving Shimmery Belle in the Susan G. Komen Race for the Cure and other local events this year, but she really enjoys the Downtown Festivals like Oktoberfest and Rally in the Alley. As Shimmery Belle becomes more established, look out for Shenna to become a force of Downtown! You can find Shenna at her store, The Shimmery Belle Boutique, located at 620 S. Main Street in Downtown Findlay, Tuesday – Friday, 11 a.m. – 6 p.m. and Saturdays 11 a.m. – 3 p.m.!